It is April. Thank the Lord. But it has taken an inordinately long time to feel like it. I loathe winter. Well, that’s not entirely true; snow is pretty, particularly between Christmas and New Year’s Day. But in all seriousness, it is the darkness that accompanies winter that is so depressing to me. I need sunlight. With each lost second of daylight in the fall months I move a little slower and my world becomes a little bit bluer. And with the end of daylight savings time, I want to put my jammies on at 5pm. Plants exhibit a phenomenon in their daily cycles, called circadian rhythms; my circadian rhythm tells me that when it is dark it is time to shut it down and go to bed. I know I’m not alone in this. Of course, what I and so many others experience in the winter has a name: Seasonal Affective Disorder, but for me, it is so much more than SAD. It is a period of neutrality and dormancy that yawns on for months. Yes, winter is a long, dark and colorless season. 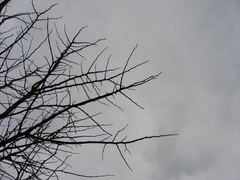 Trunks and limbs stand gray and forlorn against a slate sky; formerly exuberant prairie grasses, shorn of all but a few desperate stragglers, flop against ice tipped mulch; rhododendrons and azaleas, the glory of the summer garden, dehydrated and emaciated, shield their nakedness with curled leaves. 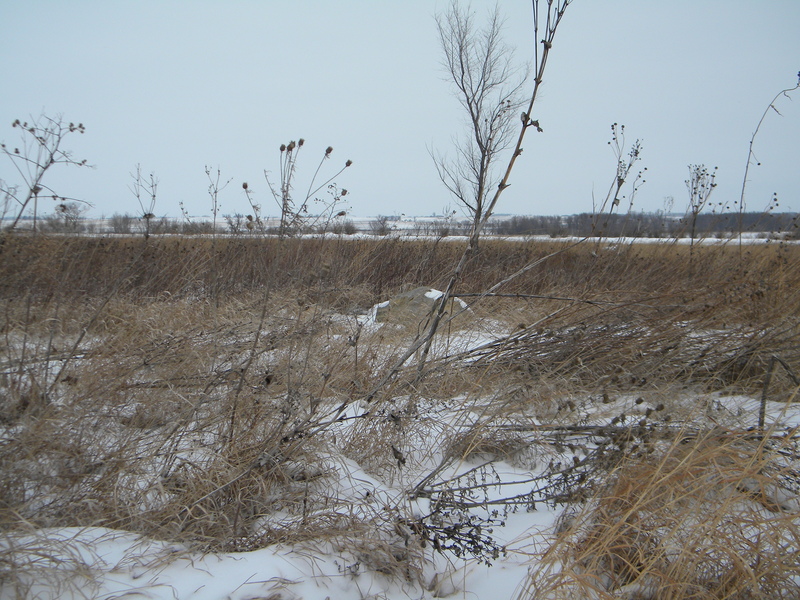 For native plants, this is a protective state; if they did not go dormant in the winter, they would die. I am not a plant, but if I were, I wouldn’t make it. I’d be toast. Clearly, complaining about the weather is a first world problem, and it is tiresome. Seasonal affective disorder, however, has the power to sap one’s energy, undermine creativity, and on some days, affect the ability to move forward. Like those suffering a great disappointment and perceived loss of purpose, I need reminding that this season will pass. I know it will, but I pace. Oh, my God, how much longer? After Jesus’ crucifixion, his disciples (those who had not deserted and run away) went into hiding. They were in darkness both literally and emotionally. They were deeply troubled and experienced doubts about the past and the future. Luke tells us the disciples had heard the claims of Jesus’ resurrection from the women who visited the tomb “but their story seemed like nonsense and they did not believe them.” [Luke 24:11]. Peter took it upon himself to run and see that Jesus’ tomb was empty. The text does not say if Peter shared what he saw with the others, but later that day two of the deserters returned to the group and spoke of their own amazing experience of seeing the risen Lord, and “while they were still speaking about this, he stood in their midst and said to them, “Peace be with you.” [Luke 18:36]. The disciples became aware that Jesus was with them and they experienced his peace. I like to imagine that at this moment a beam of warm, life-giving sunlight flooded the room and forced the windows to fly open. Suddenly the disciples heard Jesus reminding them of what he had said about the fulfillment of the Law and Prophets. Jesus was alive! They understood that from that day forward the proclamation and witness of all that Jesus had said and done would begin with them, starting in Jerusalem. With great clarity, each understood what Jesus commanded of them. They knew their mission. If not for this, the story might have stopped here. But it did not end. It never ends. And then, like the end a long and difficult labor, the earth stirs, it thaws and heaves, and the dawn arrives bearing gifts of loamy, fragrant soil, of snow drops and crocuses, of the excited chatter of birds, and earthworms on the sidewalk, and it recalls an interior life once known and seen that now brightens limbs and bark and causes buds to swell and open. 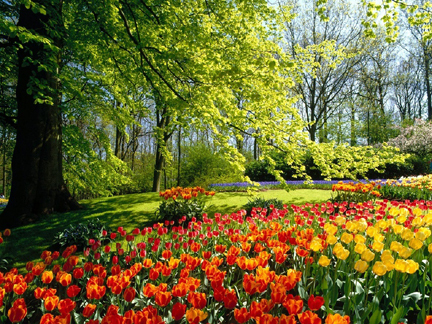 Every spring the miracle of its return, and the confidence with which trees and plants, birds and animals take up their duties stuns me. They just know what to do. I do too.